LAKE FOREST, CA (July 4, 2016) – The figures are staggering. According to Open Doors, some 100 million Christians in over 60 countries are being persecuted for their faith. 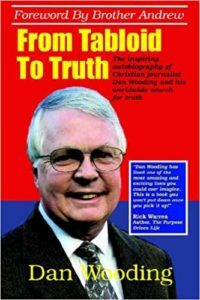 Open Doors, which was first begun by Dutch-born Christian, Brother Andrew, author of the best-seller, “God’s Smuggler,” and for whom I worked as a writer seven years, has revealed that North Korea has once again headed its World Watch List for the 14th consecutive year. “Kim Jong-un has continued to consolidate his power, and no changes or improvements have been seen over the past year,” said a statement on their website (https://www.opendoorsusa.org). “Ideology again trumped everything as could be seen in the celebration of the ruling Korean Workers Party’s 70th anniversary in October 2015. “North Korea remains an opaque state and it is difficult to make sense of most of the news pouring out of the country. This is even truer when it comes to topics like human rights or the situation of the Christian minority. Christianity is not only seen as ‘opium for the people,’ as is normal for all communist states, it is also seen as deeply Western and despicable. Having been to North Korea, I can echo these comments. I’ve also reported from Iraq, the country which is now second on the World Watch List. “There has been a long tradition of Christians living in Iraqi cities like Baghdad and Mosul,” said the statement from Open Doors. “Christians have lived in Iraq for two millennia but are currently on the verge of extinction. Iraq has suffered from years of structural uncertainty, conflict and instability under a government incapable of enforcing the rule of law and providing a minimum of security. Third of this list of shame is Eritrea, who entered the World Watch List top 50 in 2002, and in 2004 the country jumped into the top 20. “The Eritrean regime is absolutely authoritarian and intolerant towards any form of association, dissent, and free expression,” says Open Doors. “The government’s attempt to control all religious institutions culminated in the deposing of the Eritrean Orthodox Church Patriarch who has been under house arrest since 2007. Eritrea has also consistently supported the rise and spread of radical Islam in the Horn of Africa. Open Doors says that one Eritrean refugee stated that “the country is almost without its youth – some of them are in the SAWA Defense Training Center and others are escaping the regime through every possible outlet. And the country has become uninhabitable.” That is why Robert P. George and Thomas J. Reese from USCIRF ask: “Should Eritrea’s track record on human rights crimes and religious freedom warrant a referral to the International Criminal Court at The Hague? I have worked in the field of Christian persecution for many years now, and I can say that, without question, things are getting worse by the day for our brothers and sisters around the world, particularly since the rise of Islamic State (ISIS) in the Middle East, and Boko Haram in Nigeria, the land of my birth. During these past few days, we at the ASSIST News Service have been conducting what we have called our ASSIST-A-Thon, to raise funds to allow us to keep bringing you stories about our persecuted friends, who desperately need our media voice to let the world know about their plight. Some of you have generously donated to this effort, but we are still a long way from the $25,000 that we need to keep our work on track. I am sure you realize that we have many expenses to pay for our news service, which we are glad to give out for free, and so we need a final push to get us over the line so we can keep going. 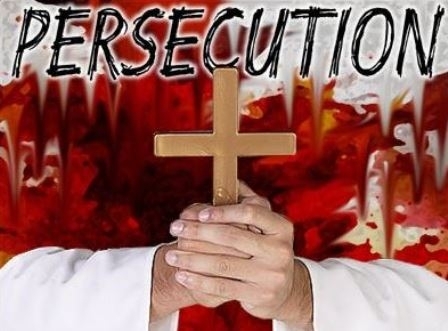 So, would you prayerfully consider making a donation to ASSIST which would be so appreciated, not only by us, but by the many persecuted Christians we feature each day on ANS. Remember, as you give, you are blessings the millions of persecuted believers in over 60 countries who are paying a terrible price for their faith. We must not fail them. Photo captions: 1) Persecution in the Middle East. 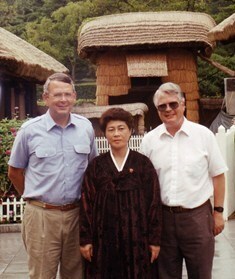 2) Michael Little of CBN and Dan Wooding visiting the birthplace of Kim Jong-il in North Korea. 3) Dan Wooding reporting for ANS outside of the Kurdistan Parliament in Northern Iraq. 4) Pakistan Christians protest their plight.